Prepare yourself for an enchanting night under the stars, high up on the 46th floor of Jakarta’s most prestigious tower, The Plaza. 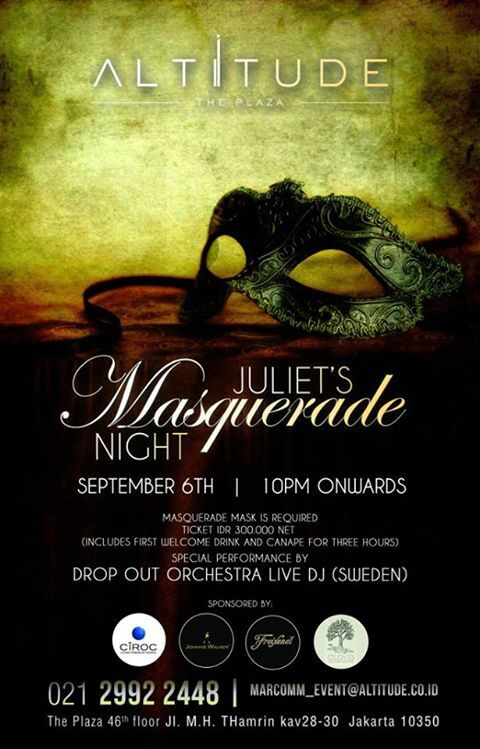 Altitude The Plaza, the purveyor of three world-class restaurants including Salt grill Jakarta, Enmaru Japanese Restaurant and GAIA by OSO Ristorante, proudly announces its first-ever Masquerade Ball that will take place in the spacious 1,200 square feet complex. Inclusives: First welcoming drink and canapé from Gaia and Salt grill for 3 hours.